The Association for Research in Vision and Ophthalmology, Inc. (ARVO), is the largest and most respected eye and vision research organization in the world. ARVO members include nearly 12,000 researchers from over 75 countries. 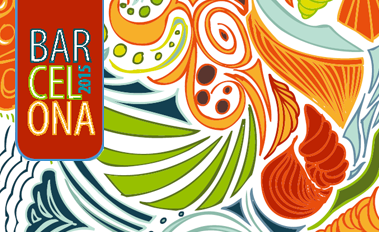 This year the ARVO congress will be held in Seattle, USA, between 1 – 5 of May of 2016. The 24th international congress of optometry, contact lenses and ophthalmic optics (Optom 2016) is the largest optometry congress in Spain and brings together more than 1000 opticians and optometrists. The Optom 2016 will be held next year in Madrid, Spain, between 8 – 10 of April 2016. The IEEE International Symposium on Biomedical Imaging (ISBI) is the premier forum for the presentation of technological advances in theoretical and applied biomedical imaging. ISBI 2016 will be the thirteenth meeting in this series. The previous meetings have played a leading role in facilitating interaction between researchers in medical and biological imaging. 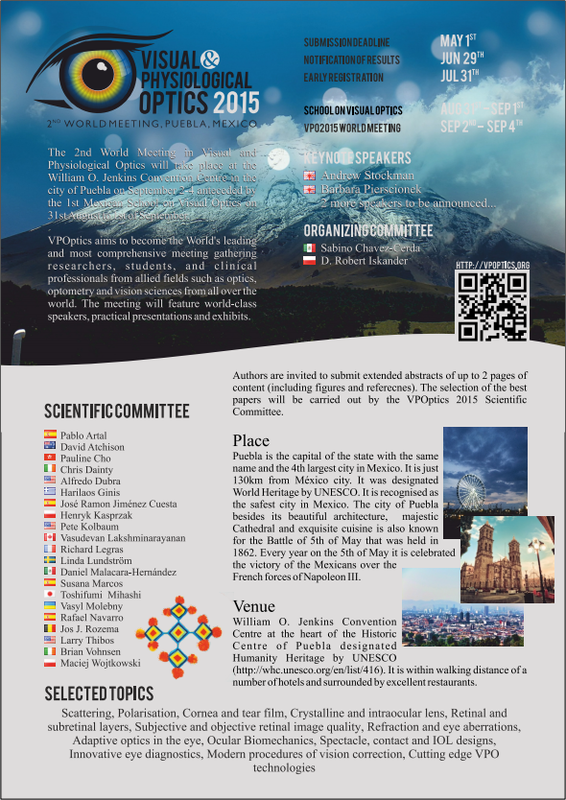 The 2016 meeting will continue this tradition of fostering crossfertilization among different imaging communities and contributing to an integrative approach to biomedical imaging across all scales of observation. The meeting will be held in Prague, Czech republic, between 13 – 16 April 2016. The 20th Winter meeting of the European Society of Cataract and Refractive Surgeons (ESCRS) will be held in Athens, Greece between 26 – 28 of February 2016. It will be in conjunction with the 30th international congress of the Hellenic Society of IntraOcular Implant and Refractive Surgeons (HSIOIRS). Help shape optometry and optics in Europe by attending our exciting, internationally renowned conference which will be held in Budapest, Hungary, 14-17 May 2015. The conference is aimed at anyone involved in optometry and optics who want to learn, share and network with other professionals from Europe and beyond. The conference incorporates the European Educators Congress providing a unique forum for networking and discussion in an environment which allows collaboration and partnership between educators, researchers, clinicians, industry and leaders of professional associations across Europe in the fields of optometry,optics and dispensing, vision science and other related areas of work. Budapest 2015 is a joint meeting with the European Council of Optometry and Optics’ (ECOO) Spring Meeting. Founded in 1991, the ESCRS is Europe's leading organisation for cataract and refractive surgeons and is at the forefront of developments in anterior segment surgery. The society has over 5,000 members from almost 100 countries worldwide. The ESCRS offers a unique forum for discussion and learning which ensures that international expertise is shared by ophthalmologists all over Europe. The European Society of Cataract and Refractive Surgeons evolved from the European Intraocular Implant Club which was established in 1981. The Society is administered by the ESCRS Board, a Board of Ophthalmologists elected by its members. The ESCRS staff based in Dublin, Ireland, are responsible for the organisation of the Society's day-to-day activities. 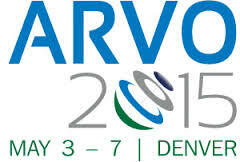 ARVO is the largest and most respected eye and vision research organization in the world. Our members include nearly 12,000 researchers from over 75 countries. ARVO advances research worldwide into understanding the visual system and preventing, treating and curing its disorders. The Association for Research in Vision and Ophthalmology, Inc. (ARVO) was founded in 1928 in Washington, DC by a group of 73 ophthalmologists. ARVO was originally named the Association for Research in Ophthalmology (ARO), but the word "vision" was added in 1970 to better reflect the scientific profile of our members. The Association's membership today numbers about 12,000 and continues to grow. Some 45% of members reside in over 75 countries outside the U.S. The membership is multidisciplinary and consists of both clinical and basic researchers. About 29% are MDs, 27% are PhDs, and 35% are optometrists, osteopaths and veterinarians. In 2001 the ARVO Board of Trustees established the ARVO Foundation for Eye Research to assure a stable support mechanism for a broad array of educational initiatives designed to enhance the conduct and dissemination of eye research. Complementary to ARVO's mission, ARVO Foundation exists to provide ongoing support for innovative and novel vision research, particularly work with translational impact that fosters collaboration between clinicians and basic scientists. The Annual meeting of the Ageing Eye program will take place in Valencia Spain, the weekend 7and 8 of March 2015. All 12 network fellows will meet with 16 more invited speakers, researchers and professors in order to present and discuss about their fields of research and expertise. The Ageing Eye is an Initial Training Network program funded by the Marie Curie Actions. What is the NOC 2013? The NOC is the conference for Local Optical Committees (LOC's), optometrists, opticians and optometric advisors organised by the AOP, on behalf of LOCSU and the Optical Confederation, the event provides an unrivalled opportunity to find out the latest news about enhanced eye services and to share knowledge and network with colleagues from around the country. It is your chance to hear from nationally renowned speakers on topics ranging from the NHS reforms, eyecare pathways to public health. You will also be able to network with friends and colleagues in workshops, discussion forums or over a coffee. The New NHS - six months in (review, analysis and debate on the impact of the new NHS on the optical sector). Will Local Optical Committees get a free place? As per last year, each Local Optical Committee will get one place at the NOC which is funded by LOCSU. Why should you attend Academy 2013 Seattle? Obtain up to 36 hours COPE approved CE credit, all in one meeting! We’ve designed our program so you don’t have to pre-register for courses in advance or pay per credit hour. Stay up to date on techniques and practices to improve your level of patient care. Whether you’re a new graduate or a seasoned practitioner, this meeting provides the critical information you need. From the exhibit hall to the exciting social events, this meeting offers a host of opportunities to build your network of fellow clinicians, vision scientists, and industry professionals. Our program lineup includes top-notch scientific research as well as practical and clinically relevant information. The exhibit hall also allows you to access the latest optometric products and technology. Seattle features a wealth of activities, attractions and world class restaurants to enjoy along with your education. Optometry Tomorrow is a key event in every optometrist's calendar and includes presentations from leading experts, lectures and seminars, hands-on clinical workshops and an exhibition, as well as providing an excellent opportunity to network and socialise with colleagues.The conference is popular with optometrists looking to increase their knowledge and skills by listening to top speakers and taking part in clinical workshops. In 2013, our 600 delegates included those working for multiples, independents, hospitals, and universities. Optometry Tomorrow attracts students, pre-registration optometrists, practising optometrists as well as those who are no longer practising but still keen to keep atop of the profession. The 2014 conference will consist of lectures, seminars, clinical workshops, peer discussion sessions and a dedicated Independent Prescribing stream. Copyright © AGEYE. All Rights Reserved.